Kersley Eye Clinic London: Cataract, Glaucoma & Contact Lens Experts. The Kersley Eye Clinic London has been providing Contact Lens and Ophthalmic treatment, including emergency eye services in Harley Street for over forty years. We use the very latest technology in the diagnosis of most emergency and routine eye conditions and specialist management in a broad range of problems, such as Glaucoma, Cataracts, Medical Contact Lenses, Paediatric Ophthalmology, Strabismus, Botulinum Toxin Therapy and Dry eyes. We pride ourselves in managing ophthalmic conditions in the most up to date evidence based practice with an approachable, warm and friendly manner. We have an excellent reputation and look after clients from around the globe. Dr H. Jonathan Kersley was a pioneer in the use of Medical Contact lenses. He started practicing in Harley Street in the 1970s and was involved in the early use and development of soft contact lenses. He was the founding member of many contact lens related societies and his name has been given to annual eponymous lectures in his honour. Jonathan left his practice in the capable hands of Dr. Sarah Janikoun in 2000, she consolidated the practices of several other medical contact lens specialists. The service is now run by Ms Siobhan Wren, who is one of the few Ophthalmic Surgeons trained in the use of Medical contact lenses. 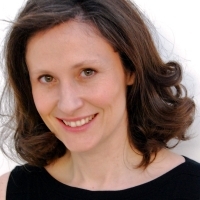 Ms Wren is a Consultant Ophthalmic Surgeon. She graduated from St George’s Hospital Medical School in 1996 and trained in London, underwent clinical fellowships in Great Ormond Street, King’s College Hospital and the Mayo Clinic USA. She specialises in Medical Contact Lenses, Paediatric Ophthalmology, Adult Strabismus, Botulinum toxin therapy and General Ophthalmology. 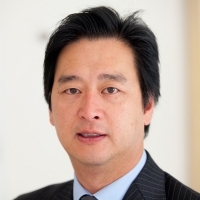 Mr K. Sheng Lim is Consultant Ophthalmic Surgeon, Head of the Glaucoma Service at Guy’s and St Thomas’ NHS Foundation Trust, Research Director for the Ophthalmology Department and Reader (Associate Professor), Faculty of Life Sciences and Medicine, at King’s College London. He specialises in glaucoma laser, cataract surgeries, Minimally Invasive Glaucoma Surgery (MIGS) and other complex glaucoma surgeries such as, trabeculectomy and Baerveldt implant.